You can spend $10,000 putting in a beautiful landscape only to come home and see the deer have eaten half or all of it. 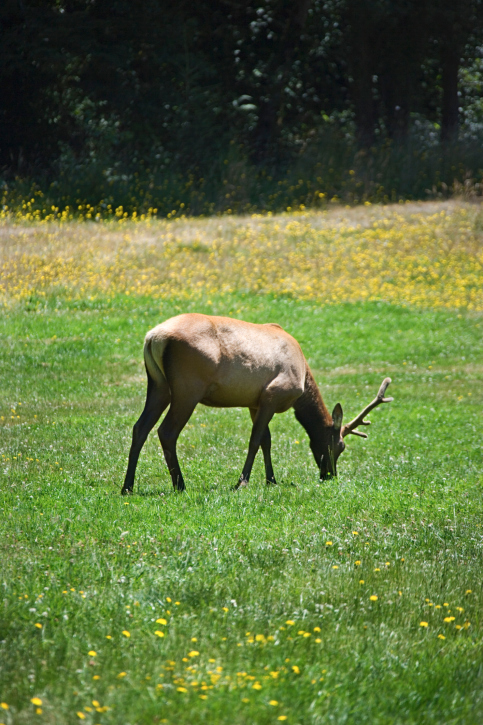 Especially in the winter, there's not much for the deer to eat, so they'll be doing anything they can to survive..
Plant damage is the biggest problem our clients have with respect to deer, so our company maintains a list of deer-resistant plant materials. Most natives plants here in Penavailas are deer-resistant because they naturally grow here and the deer have been co-existing with them for may years. Deer will not eat daffodils, for instance there are certain thing you can grow that the deer won't eat. One other thing you can do to keep the deer out is to put-up a fence. Putting up a fence is one of the only ways to get 100 percent guarantee. The other way well we just wont talk about it here. DeerPro is a professional strength repellent that can only be purchased and applied by licensed professionals.